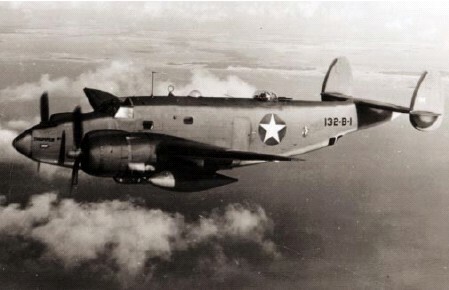 On December 10, 1942, a U. S. Navy PV-3 Ventura aircraft, (Bu. No. 33951), was being used to demonstrate “wing-overs” and “flipper-turns” to student pilots when the tail section suddenly warped and became twisted. The plane made an emergency landing and there were no injuries. It was determined that the aircraft was damaged beyond repair and was scrapped. U. S. navy accident report dated December 10, 1942.